It seems like everyone is jumping on the chia cereal bandwagon these days, and not without good reason. 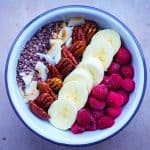 I’ve yet to see another breakfast option that is as quick, nutritious and easy to make as this is, which combined with the fact that you can customize it to your own preferences, makes it a winner for me! This chocolatey pecan chia cereal recipe was put together combining some of my favourite toppings for chia cereal (chocolate is always a winner for me in any situation!). 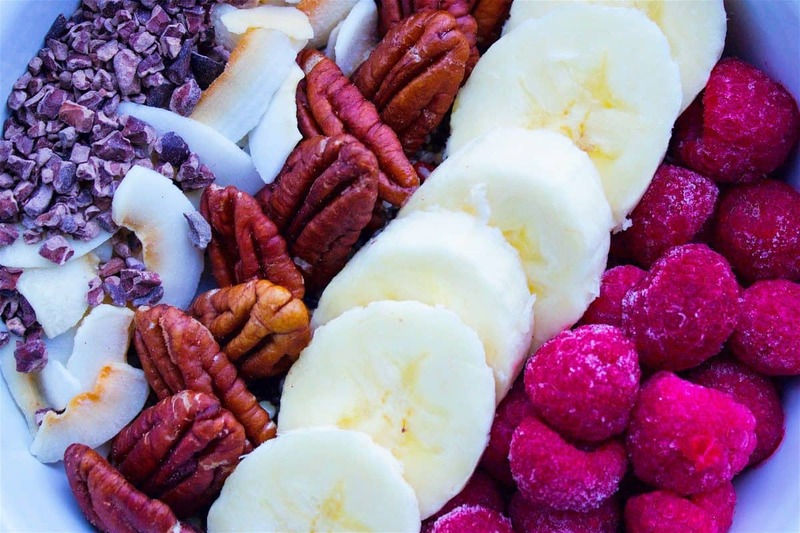 I love using cacao beans or nibs for a burst of rich flavour alongside berries to add sweetness and colour, and nuts to add crunch. I love that you can play with the ingredients in this recipe – it means that there are endless flavour combinations and you won’t get bored of eating the same thing for breakfast each morning! 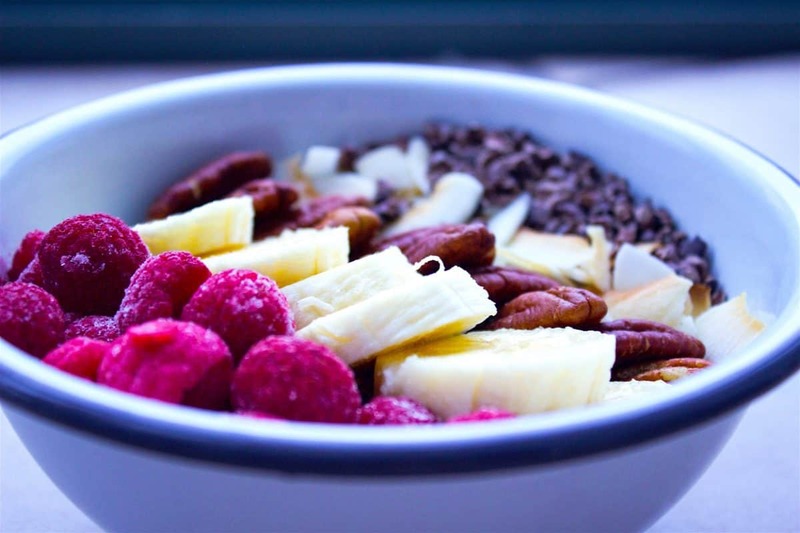 A simple but delicious chocolatey pecan chia cereal that is gluten-free, sugar-free and vegan. It's quick to make for breakfast and bursting with taste! Divide the mixture between two cereal bowls, add almond milk and whisk. Set aside for at least 15 minutes (stirring regularly) to allow the chia to expand. Don’t worry if you don’t have all of these toppings – the beauty of this cereal is that you can customize it and make it your own. 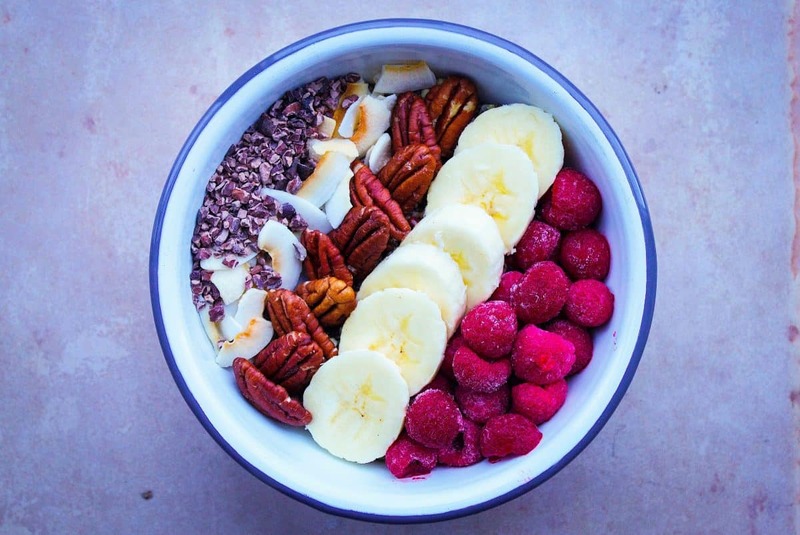 Try adding any seeds, fruits, superfoods and nut butters you love. Get creative and go with your instincts. Food is all about enjoyment after all!